In the last few years, the Automobile Sector of India has grown significantly. The demands of Indian Automobile Users have significantly gone up. Not only India but several International organizations have started serving in the country. 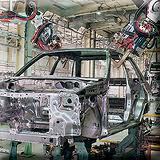 The need for skilled human resources is very high in the Automobile Sector. We undertake hiring for junior to senior level Jobs in Automobile Sector owing to a large database of candidate profiles. We recommend the most suitable candidates for the post of Automobile Engineers, Sales Executives, Team Leaders, Technicians, Mechanics, etc., in the shortest time possible.